Keeping your guns safe free of moisture and humidity can be an important factor in preventing your belongings from developing rust, corrosion, mildew or mold. If left untreated, these problems can worsen, causing some serious damage to your firearms. Here you can learn more about this potential problem and the various dehumidifiers that are available. By the end of this guide, you should be able to determine which gun safe dehumidifier will work best for you and your firearms. ​How do I recharge my dehumidifier? Are there any downsides to using a dehumidifier? What level should the humidity in my gun safe be? ​Out of the gun safe dehumidifiers we reviewed, it was difficult to narrow it down to the best one. In the end, the Eva-Dry E-333 Renewable Mini Dehumidifier was our top selection. ​The small but powerful Eva-Dry E-333 Mini Dehumidifier runs without power or batteries, making it one of the top gun safe dehumidifiers on the market. Out of the 5 dehumidifiers discussed in this article, here are the top 3 choices, with the best overall being the most favored. 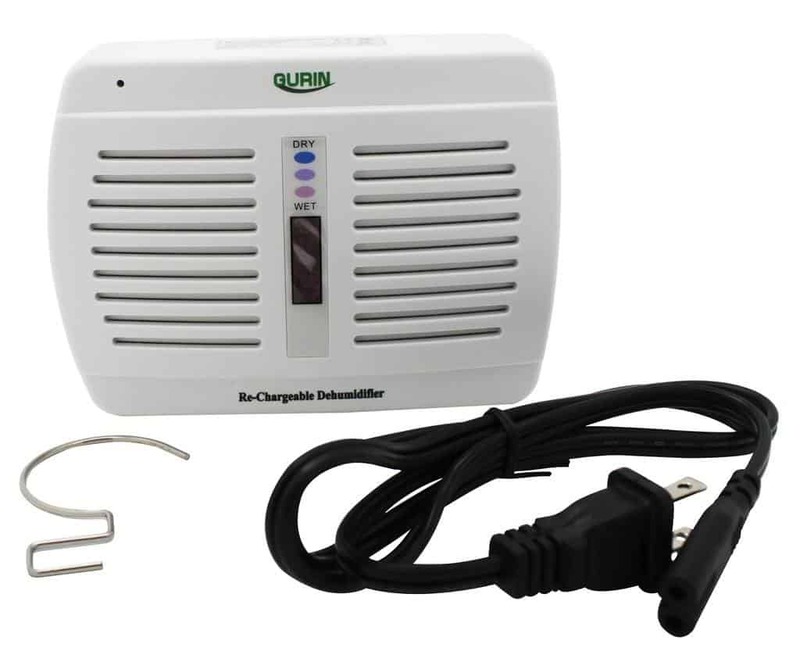 ​Top Mini Dehumidifier: The Gurin DHMD-110 Renewable Wireless Mini Dehumidifier was chosen because it is able to work in areas larger than many of the other cordless dehumidifiers. Even though it is mini, it still has plenty of power. ​Top Cordless Dehumidifier: The Stack-On SPAD-1500 Rechargeable Cordless Dehumidifier was picked because its charge can last weeks longer than some of the other wireless options. Recharging it less saves on electricity and hassle. 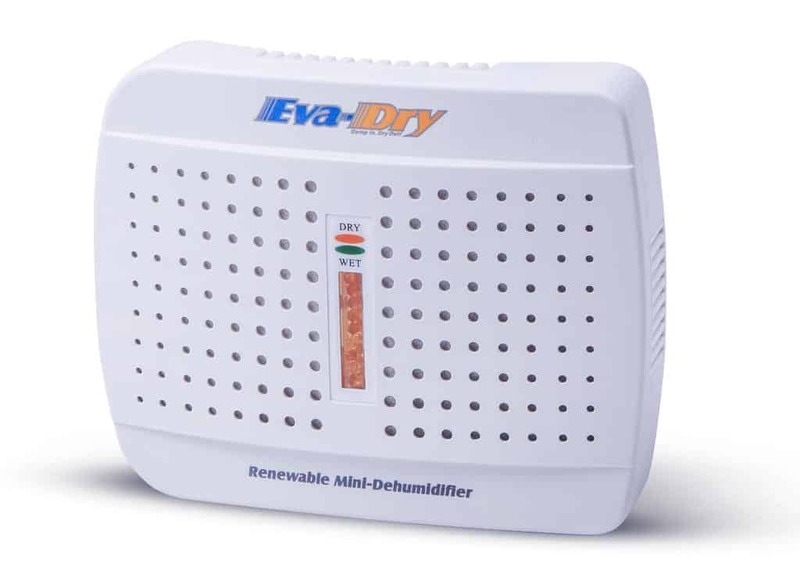 ​Top Overall Dehumidifier: The Eva-Dry E-333 Renewable Mini Dehumidifier was selected because it’s easy to use, safe, renewable and can be more powerful than some of the other silica gel dehumidifiers on the market. Be sure to read through the whole guide to learn which important features and benefits each of these dehumidifiers have, along with our other recommended picks. A lot of the time, limited airflow into your gun safe can cause humidity levels to rise. This can result in excess moisture in the air that can trigger metals to corrode and rust over time. The top layers of the metal can slowly start to deteriorate and flake off. This problem isn’t always just superficial. Metal can sometimes distort in high humidity, causing unsafe operating conditions. To help prevent this from happening to any of your guns, you can install a dehumidifier. Although rust and corrosion may start out as more of a superficial problem, if not cleaned immediately, in can get worse. 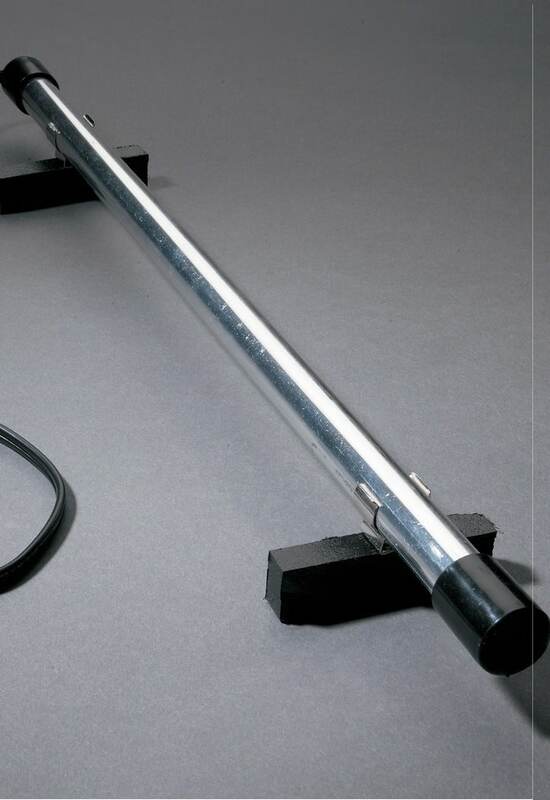 This may cause permanent damage to both your gun safe and firearms, as well as ammunition and any other metal valuables you may have in your safe. Besides rust and corrosion, you also should be concerned with mildew and mold. This can cause an unpleasant odor in the gun safe. Mold and mildew are capable of causing more damage to fabrics and paper. Any paperwork or fabric gun accessories, such as holsters, can be damaged by the effects of mold and mildew. A dehumidifier can help prevent this problem, as well. ​Tip: ​For quick relief from any odors, baking soda and coffee grounds can both be used to neutralize any unpleasant smells. You can place a box of baking soda in your safe, the same as you would for your refrigerator. ​This can come in handy when you are testing how well your current dehumidifier situation is working. Use the mixture to remove all humidity inside of the safe. When accomplished, return the safe back to how it would normally be set up. If you check the safe a few days later and find that the humidity has returned, you know you will have to come up with a new solution. This is the first thing to think about when purchasing a dehumidifier for your gun safe. If you don’t already have a hole for the wires, are you willing to have one drilled? This will obviously raise the total of your budget by quite a bit. Even if you do have a hole, is there an outlet nearby? If you decide to go with an electric dehumidifier, get quotes on drilling holes before you commit to anything. Sometimes things can cost a lot more than we expect. If you already have holes in your safe, still check to make sure there won’t be any issues with the wiring. When it comes to safe gun dehumidifiers, the electric ones may have a few options for you to learn. The desiccant dehumidifiers basically take care of themselves, except for recharging. It’s not an issue that anyone should have to worry about. 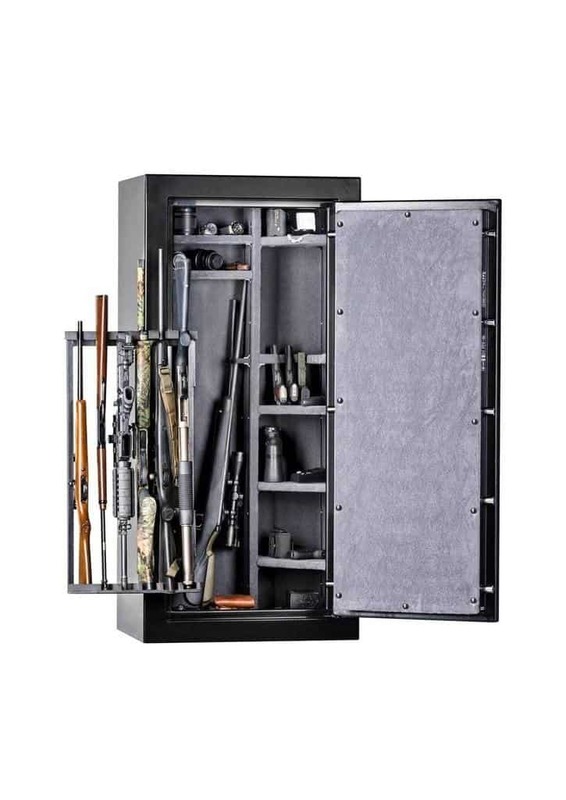 The size of your gun safe can play an important factor in what your options are. If you are going with electric, you will be able to select from the different size rods. This will allow you to pick the rod that matches the amount of space you have for maximum results. If choosing from a desiccant humidifier, be sure to check out the amount of area each humidifier can cover. This can vary a lot among different brands and models. If you find a dehumidifier that you like but it isn’t strong enough, keep in mind that you can always place more than one dehumidifier into your safe. It is a good idea to find out the dimensions for each product. Measure your safe to ensure the dehumidifier will fit. Although all of these dehumidifiers are described as being either mini or compact, that makes no guarantees. You should take the few minutes to measure and play it safe. ​There are two main types of dehumidifiers. Electric can be more consistent with better heat and humidity control. Also, you don’t have to worry about much upkeep. The downside of electric is that you need to drill holes in your safe because of wiring. Desiccants don’t require wires (except for when charging), so they have an advantage over electric in that sense. Deciding between the two is based more on preference. Both options are capable of getting the job done. The technical difference between the two is how it reduces humidity. All desiccant dehumidifiers work the same, in that they all reduce relative humidity by removing the water from the air through absorption. ​Electric dehumidifiers reduce the relative humidity by warming the air. It also increases the difference between dew point and temperature. This helps to lower the possibility of condensation forming inside of the gun safe. This is a wonderful choice for people who already have a hole drilled in their safe for the wiring or are willing to put holes in their safe. If you must have holes drilled, you will have to factor the cost of installation into your budget. Electric dehumidifiers usually allow the operator to have more control over the humidity and temperature settings when compared to desiccant dehumidifiers. Desiccants absorb the water in the air however and whenever it randomly happens. Electric dehumidifiers are also effective because the warm air created by the heated rod results in circulating air. When mounted on the floor, the warm air rises to the top of the safe. Cooler air replaces where the warm air was, gets heated and rises. This happens in a continuous loop, establishing the circulation. Circulated air should result with all areas of the safe receiving equal amounts of warm air, reducing humidity in every nook and cranny. The circulated air is what also reduces the chance of condensation from forming. You also won’t have to worry about remembering when to recharge your dehumidifier, as it is always connected. However, unless you have a convenient outlet near your safe, take into consideration you will also have wires hanging around. ​This type of dehumidifier can come in a variety of renewable solutions that are capable of silently absorbing moisture and humidity from the air. This process doesn’t require batteries or electricity while in use, so you won’t need to drill holes into your safe. Recharging should usually be done in a well ventilated area because the process releases the humidity back into the air. Because these options only get plugged in for recharging purposes, some people have seen savings on their electric bill when compared to the cost of running an electric dehumidifier. For ease of mind, some people prefer the desiccant dehumidifiers because they don’t like the idea of electrical items left turned on in their safe for 24 hours a day, seven days a week. ​Some people like to also put other products, such as DampRid FGAM50 Moisture Absorber, in their safe. DampRid is a disposable option for removing moisture from the air. It can be fast, easy and effective in spaces up to 1,000 square feet. The moisture locking technology helps prevents spills. Moisture stays locked in, and when all the crystals are gone, discard and replace. This also eliminates musty odors. In some cases, you might just need a tiny boost to get rid of the rest of that humidity. If you think you could benefit from this, it certainly can’t hurt to give it a try. However, these disposable options seem better suited for people who are trying to eliminate odors or moisture from an area just once. For example, if a basement gets flooded on rare occasions. ​The brands mentioned here include GoldenRod, Gurin, SnapSafe, Stack-On and Eva-Dry. Products created by these companies were chosen because they are well-known and have an established fanbase. ​A division of Buenger Enterprises manufactures GoldenRod. They are a small company based out of Oxnard, California. However, they have become very well-known among firearm owners because of the success of the GoldenRod Dehumidifier. The GoldenRod has a Lifetime Guarantee, is completely maintenance free, and because it has no moving parts, remains extremely quiet. ​This company is dedicated to creating innovative health care products to meet their customers’ needs. All products that they manufacture includes a 100% Gurin Products Satisfaction Guarantee. This ensures that every product you buy from Gurin will meet your standards. If it does not, you are welcome to return the item for a refund or replacement. Gurin is also committed to bettering the lives of their customers. They contribute to local community events that focus on healthy and active lifestyles. ​SnapSafe is an innovative manufacturer of modular products, with a lifetime guarantee to back all of them. While a newer company established as recently as 2009, SnapSafe has nonetheless quickly built a great reputation for unique products of excellent durability. Purchased by Hornady Manufacturing Company, which was founded in 1949, the backing of this strong family company has only better served the company as it continues to pump out a shocking number of intricately designed products. ​This business has more than 40 years of experience when it comes to manufacturing and distributing gun security items, homes safes, organizational structures and garage storage. Their merchandise for the home, garage and secure storage were created to meet the needs of homeowners. It includes storage bins and cabinets, workbenches and tool boxes. 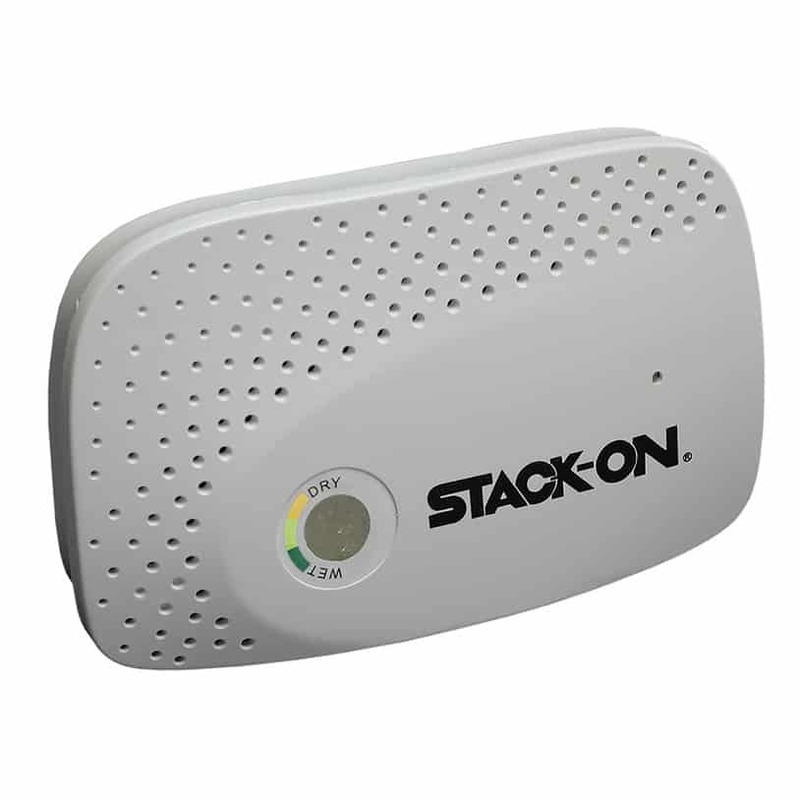 Stack-On has a wide range of security products, bound to satisfy most customers. It consists of portable cases for people who carry protection with them and small safes that you can use to secure valuables in your office or home. Additionally, they make quick access gun safes to help you defend your property. A wide selection of gun safes and cabinets are also available to aid in securing your firearms when not in use. 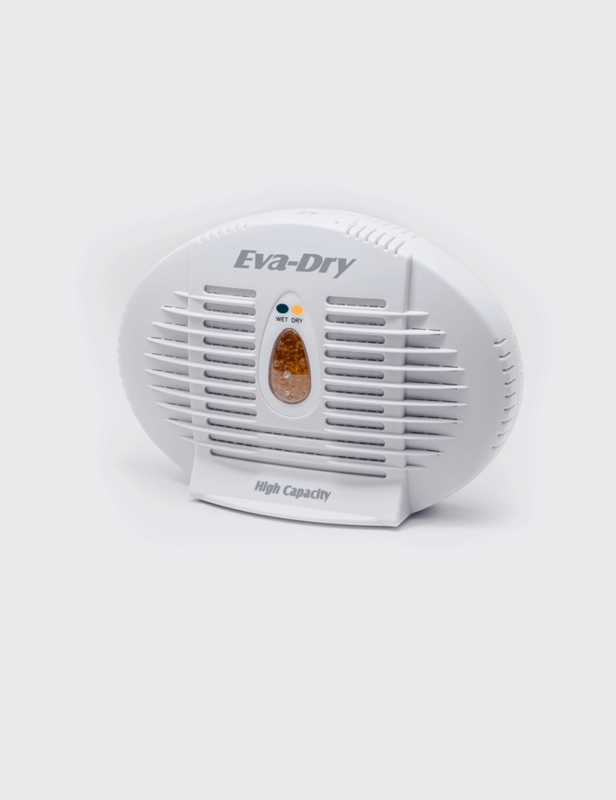 ​​The compact dehumidifiers that Eva-Dry makes have been used for more than a decade. They are an effective way to decrease the humidity in an efficient and eco-friendly manner. The units they sell help protect against mold, moisture and mildew in kitchens, bedrooms, basements and closets. In addition, they can be used in recreational vehicles, on boats, for gun safe storage and in watercraft cabins. Eva-Dry has been a leading manufacturer of compact dehumidifiers, offering a nice combination of affordability, quality and customer service. They have been successful with the continued expansion of online and retail distribution. ​Most of the desiccant dehumidifiers contain beads or crystals that need to be heated up in order to recharge them. For dehumidifiers that plug into an electrical outlet, this can take anywhere from four to 12 hours to complete. If it is a model that can be placed in the oven, sometimes it takes as little as two hours to recharge. ​This is the amount of time it approximately takes for the beads to become fully saturated with moisture. The beads will change color, indicating they need to be recharged. These results will vary depending on the normal amount of humidity you have in the air. Traditionally, the charges will last between three and eight weeks. If you are someone who rarely goes in their safe, it might be better for you to lean towards an option with a longer charge span. You don’t want to forget about recharging your dehumidifier. ​If you like to be a thrifty shopper, that is wonderful. There is no harm in going directly for the least expensive model – just be aware that you might miss out on some features that could sway your decision. Take a few moments to decide if the extra money is worth it. The models can vary in price by a decent amount, but even at the high end, they are still relatively affordable for anybody. ​These two nightmares can cause some major problems with your firearms if you are not vigilant. Having a dehumidifier can keep rust and corrosion from taking over. If not prevented, this can end with costly fixes or property damage beyond repair. It doesn’t always cross everyone’s mind, but rust and corrosion doesn’t only affect your guns. Most safes are made out of metal and can become damaged, as well. Using a dehumidifier can lessen your chances of mold and mildew from forming in your safe. It is easier to prevent it from appearing, rather than trying to get rid of it. ​An unpleasant odor can also be the result of this. Ammunition can also face the dangers of corrosion if not kept dry. This can affect the safety of the bullets. To prevent any accidents from possibly happening, it is a good idea to have a dehumidifier. ​The following dehumidifiers, among others, were reviewed to see which ones had standout qualities to them. Only one electrical dehumidifier was reviewed for two reasons: 1) Out of the different options available, the GoldenRod option was the best quality at the best price. 2) The few similar electrical dehumidifiers didn’t provide anything unique that would warrant discussing. The four desiccant humidifiers that were reviewed are similar in features, but each one stands out in unique ways. All the models have been analyzed side-by-side to compare features and differences. When in doubt, other customers were asked for their opinions. ​The GoldenRod Original Dehumidifier is one of the more powerful electric dehumidifiers available on the market. Depending on the size you decide to purchase for your safe, the wattage will range between 12 and 38. This provides the energy needed to help lower humidity and slightly raise the air temperature. For those who have their gun safe in an area that does not have climate control, such as a garage or basement, the GoldenRod Dehumidifier had no problem keeping up with the task. This product was chosen as Best Electric Dehumidifier because of the electrical rods that make this one of the more robust dehumidifiers around. The four available sizes are convenient when deciding on what suits your needs best . Finally, the rods never get too hot and are always safe to touch, helping to prevent accidents. When selecting a size, consider purchasing the biggest one that will fit in your safe. This will ensure your belongings stay as arid as possible. Although you can have air that is too dry, electrical units are capable of keeping air at a constant temperature. As long as your unit is set up properly, you won’t have to worry about the air being dryer than needed. This dehumidifier is designed to help take care of some of the worst kinds of problems and will help give your gun safe the perfect environment for storing valuable firearms. 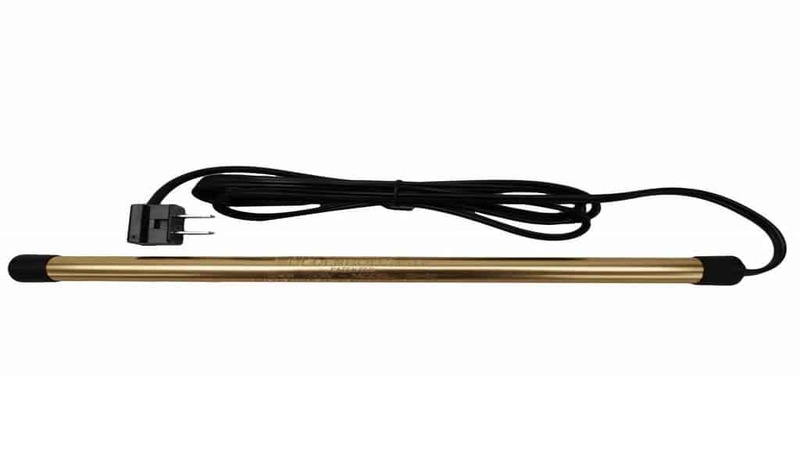 The GoldenRod Dehumidifier Rods are capable of providing more power than a lot of the other electric dehumidifiers currently for sale. Because it is electrical, there is always constant power. This helps maintain a more consistent humidity and temperature. Models running on batteries or renewable desiccates may stop working or decrease in efficiency without you realizing it. However, desiccant humidifiers can still be just as powerful as electric humidifiers. Keep reading to see for yourself. The GoldenRod is to electric dehumidifiers as the Gurin DHMD-110 Renewable Wireless Mini Dehumidifier is to desiccant dehumidifiers. ​​The dehumidifier uses a sealed, electric element to safely heat its surface to a temperature just under 150 degrees Fahrenheit. The warm air inside the unit stays a little bit warmer than the outside temperature. The hot air helps to eliminate the moisture in the air. ​If your dehumidifier is struggling to remove all the moisture from the air, some people have placed a mini desk fan inside their safe. This helps circulate the air and lower the humidity. ​ This dehumidifier comes with an adjustable cord length, making it less obtrusive. ​People have reported that they experienced wonderful customer service, so don’t be afraid to contact them if there is a problem. ​One of the main reasons the Gurin DHMD-110 Renewable Wireless Mini Dehumidifier was named Best Mini Dehumidifier is because it is capable of working in a 500 cubic foot area with no batteries or cords. This silent and compact dehumidifier is 100 percent renewable and lasts for up to 10 years, same as the Eva-Dry E-333 Renewable Mini Dehumidifier. The unit can absorb up to eight to 10 ounces of moisture before needing to be recharged. This usually happens after six to eight weeks of use. To give you an idea of how good this mini dehumidifier can perform, people have used it in a bathroom with a shower to prevent mold and condensation. If this dehumidifier is capable of working in an environment like that, it should have no problem keeping your gun safe dry. ​The Gurin DHMD-110 Renewable Wireless Mini Dehumidifier is capable of working in a 500 cubic foot area. The Eva-Dry E-333 Renewable Mini Dehumidifier can only handle 333 cubic feet, the Stack-On SPAD-1500 Rechargeable Cordless Dehumidifier 100, and the SnapSafe SGD57 Silica Gel Dehumidifier a mere 57. The Gurin also stays charged for up to eight weeks, compared to Eva-Dry at four weeks, Stack-On at six weeks, and SnapSafe also at four weeks. There is an indicator window where you can see the crystals. They will change colors to indicate when the unit needs to be recharged. Blue means they are dry, and pink when they are wet. Once the moisture has been absorbed it cannot leak or spill. Simply plug the unit into an outlet for 12 to 14 hours to completely recharge. The built-in heater warms the crystals, allowing them to expand and release the moisture into the outside air. The crystals will change back to blue to let you know it is once again ready for use. ​Tip: ​If you happen to read elsewhere that this dehumidifier doesn’t last long before needing to be recharged, see if they mention where they are attempting to use it. When using in an area that has air flow, the beads will get saturated at a very rapid pace. This dehumidifier last longest in areas with still air, such as gun safes and closets. Small but terrible, this dehumidifier ​is both safe and long-lasting. ​SnapSafe loves to innovate almost as much as they love to make incredibly solid products, and the SnapSafe SGD57 Silica Gel Dehumidifier has been named the top Desiccant dehumidifier due to its simple design and great durability. This product can dry areas up to 57 cubic feet to help stop rust and corrosion, which is usually big enough to accommodate many safes. It has the ability to be reactivated without the hassle of having to take the beads out of the unit and then putting them back in. The entire unit can pop right into the oven for a few hours and is ready for use again. A lot of people find this feature to be one of its best selling points. Many complain about having to remove beads in certain dehumidifiers. If you are not careful, they can easily get everywhere. The beads in the SnapSafe Dehumidifier generally need recharging within about four weeks. This falls in line with the beads in the Eva-Dry E-333 Renewable Mini Dehumidifier. says their product can last a lifetime and is backed up with a lifetime warranty, while Eva-Dry says their unit will only last for up to 10 years. When compared to the GoldenRod Original Dehumidifier, they both perform as described. If you don’t already have holes drilled into your safe for the electrical wires, the SnapSafe is one of the next best dehumidifiers. ​The beads are comprised of silica gel, which absorb the moisture in the air. As the beads get saturated, they change color from blue to pink. Once they are all pink, place in the oven for several hours to reactivate. The beads will turn blue again when they are ready to be used. ​Tip: ​You can also place the unit in a toaster oven to save on electricity when recharging. Convection toaster ovens that can circulate the air work best. ​The Stack-On SPAD-1500 Rechargeable Cordless Dehumidifier was named the Best Cordless Dehumidifier because of its lower maintenance. There are many other cordless dehumidifiers available, but a lot of them usually have to be recharged within two to four weeks. This one lasts up to six weeks. Recharging can be done by plugging the unit into any standard electrical outlet. It will normally take around eight to 10 hours to fully recharge. Once ready, the dehumidifier can absorb moisture out of the air from a 100 cubic foot area. The Stack-On SPAD-1500 Rechargeable Cordless Dehumidifier can last up to six weeks before needing a recharge. Whereas, both the SnapSafe Dehumidifier and the Eva-Dry E-333 Renewable Mini Dehumidifier usually only last up to four weeks. However, the Gurin DHMD-110 Renewable Wireless Mini Dehumidifier beats them all with lasting up to eight weeks. The beads inside the unit can absorb excess moisture and humidity out of the air. As the beads get saturated, the moisture gauge on the front of the unit will indicate when it is time for a recharge. To recharge the beads, plug the unit into an electrical outlet overnight. ​Compact, and easy to maintain, this one's perfect for the busy household. For something so tiny, it sure comes with a lot of nice features. That is why the Eva-Dry E-333 Renewable Mini Dehumidifier was named Best Overall Dehumidifier. It’s easy to use, safe, renewable and powerful, among having many other positive features. This compact product works in areas up to 333 cubic feet in size, lasts three to four weeks before needing to be recharged, and the unit lasts for up to 10 years until it needs to be replaced. It does all this without using batteries or electricity while in use. The Eva-Dry E-333 Renewable Mini Dehumidifier beat out both the Stack-On SPAD-1500 Rechargeable Cordless Dehumidifier and the SnapSafe Dehumidifier when it comes to how big of an area they can handle. 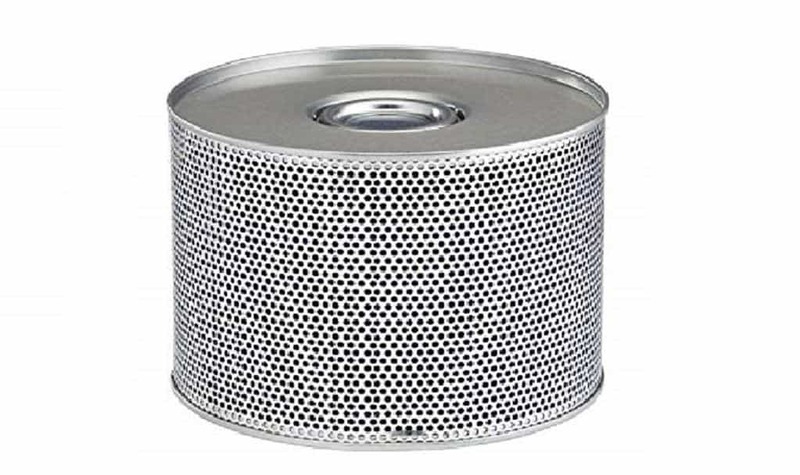 Eva-Dry can handle up to 333 cubic feet, while the Stack-on can only manage 100 cubic feet. SnapSafe comes in last with 57 cubic feet. However, the Gurin DHMD-110 Renewable Wireless Mini Dehumidifier is the victor, capable of working in a 500 cubic foot area. Using a renewable silica gel technology, the E-333 doesn’t require batteries or electricity while in use. It uses a renewable solution that can silently absorb moisture from the air. The crystals start off orange, and as they take in the humidity, they change to green. This process happens over the span of approximately two to four weeks. When the crystals are completely green, plug the unit in for eight to 10 hours. This should be done in a well-ventilated area. Once the crystals have changed back to orange, they are ready to be used again. You can repeat this process for up to 10 years. ​A non-toxic dehumidifier that's a combination of powerful and renewable. There are basically two types of desiccant dehumidifiers. One kind gets recharged my plugging it into an electrical outlet. The other kind gets heated up in the oven. Check your owner’s manual or instructions for specific details. How often should you replace the dehumidifier unit? From our reviews, you can see that there are some that have five- and ten-year warranties. Another dehumidifier says it will last a lifetime. No matter what the claims are, keep an eye on the beads. One sign is if the duration between recharges is getting smaller and smaller. Another sign is if the beads start taking a longer than usual time to recharge. Some people also notice that rust can appear on certain units. Another good idea is to just remain observant. You know your safe better than anyone else – you’ll be the first to realize if something seems wrong. ​People who own an electric dehumidifier have mentioned that their electric bill slightly increased. However, most people feel that the damage that can be prevented from having a dehumidifier outweighs the extra money spent on electricity. ​The ideal humidity for your gun safe should be right around 50 percent. Anything lower and it could dry out certain objects, such as wood stocks, and cause damage. Anything higher and you risk the chance of condensation, leading to mold, mildew, corrosion and rust. ​Hopefully you now have a better idea of what the best gun safe dehumidifier is for you. No matter which one you decide to go with, you will more than likely be very pleased with your decision. All the options mentioned here have some wonderful features. If you are still not sure which one to pick, go with the Eva-Dry E-333 Renewable Mini Dehumidifier. Unless you have an enormous safe to worry about, this choice should be a good option for almost anyone. For those that are still experiencing problems with humidity, don’t be afraid to mix and match options. Some people didn’t see much success until trying more than one method at a time.